A project at work required me to go to Tokyo for a little over a week. I needed to be there for setup on Sat April 15th and the project would finish on Sunday April 24th. After speaking with Kristy, the colleague I would be traveling with, we decided to go two days early. We did this for a couple reasons: 1) to acclimate to the drastic time zone difference, as Tokyo is fifteen hours ahead of mountain time and 2) to visit some of the Tokyo sights (neither one of us had been to Japan before). I told Romy as soon as I found out about it and after some consideration we decided that I would extend my trip by two days and she would join me in Tokyo on Friday the 22nd and we would fly home together on the 27th. Wed April 13th and 14th: I summoned an Uber ride at 7:20a. All the kids were up for the day before I left. Stella did not want me to go, and as a distraction, I asked her if she wanted to help me take my luggage to the car. She agreed and happily toted my little red laptop roller bag out to the driveway and said goodbye. My flight left SLC at 9:30am to Seattle where I had an hour layover before boarding the plane bound for Tokyo. The international leg of the trip was just over 10 hours long and mostly uneventful. I watched 3 movies, “Spectre”, “The Intern”, and “Jurassic World”, needless to say I wasn’t able to sleep which wasn't surprising as I never really have been able to sleep in the cramped seats of an airplane. The plane landed in Tokyo at 2:30p on the 14th. It took about 45 minutes to get through immigration and then another 20 minutes to go through customs. Kristy and I hailed a cab which took us 75 km to our hotel. The ride fare was 23,000 Yen (about $215!). The hardest part of the trip lay ahead, staying awake until after 9p to shock our bodies into the new time zone. I couldn’t do it, I laid down on the bed in my hotel room and closed my eyes for a few minutes, before I knew it 45 minutes had passed. I was awakened by a phone call from Kristy to see if I was ready to go out and find something to eat for dinner. 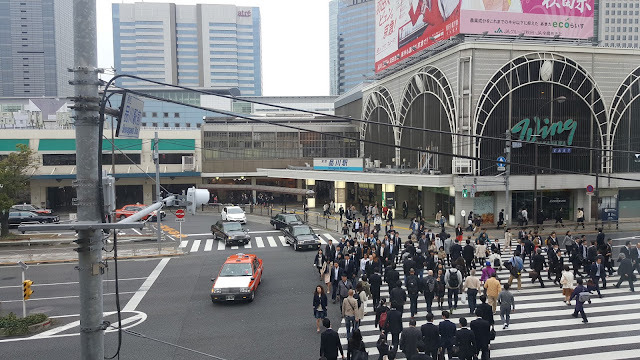 We walked a couple blocks down to the Shinagawa train station and looked though some shops there. Eventually we found an Outback Steakhouse and decided to eat there. First impressions of Japan: Humid, green, hilly. People seem very polite and respectful. At the hotel they did not want us to carry our luggage; they had people to do that for us. There is no tipping and at the restaurant several waiters stopped by to fill drinks and check on us throughout our meal. Tokyo is a large sprawling city, buildings as far as the eye can see. Tokyo city is relatively clean considering how many people live in it. Japanese culture and people seem very orderly, everything has a place and is arrange neatly in its place. Most buildings and grounds are well maintained, with little or no graffiti at the train stations and along the tracks. Friday April 15th: I woke up at 3:00a and could not go back to sleep. I ended up working for a few hours and then ‘called’ home using Facebook Messenger. At 7a I met up with Kristy and we went to the hotel breakfast buffet which cost us 3,000 yen ($28) each! The buffet offered all sorts of food for all travelers: Western food, such as pancakes, bacon, sausage links, and scrambled eggs with muffins and toast. They also had yogurt, fruit, juices and cereal. There was typical European breakfast items, a variety of cheeses, deli meats, and various breads. For the Asian travelers they had rice, soups, sea food, and steamed vegetables. I had the best mangos that I have had had in years; they were soft, creamy, and full of flavor. After breakfast we had a couple of hours before meeting with Wee Keng to go over logistics of the work ahead of us. Kristy and I booked an afternoon Tokyo city tour to help keep us awake and occupied. Kristy went back to her room and I walked around Shinagawa and explored some of the area. I was amazed at the amount of people coming out of the train station! It was a small army of men and women dressed in dark suits, and skirts. They seemed to walk in a cadence, all marching off to work. For lunch, and the highlight of my day, Kristy and I found Anna Millers restaurant which sits across the street from the Shinagawa Train Station on the second floor of some shops overlooking the street. We ordered a slice of apple pie and ice cream and sat and watched large groups of people bunch up on both sides of the street near a crosswalk then, oddly mesmerizingly, cross through each other to the opposite side. At 1pm we took a taxi to the World Trade Center building where the official tour started at 1:30. The first stop was the observation deck on the 40th floor. There we got a birds eye view of the city and were able to appreciate the size and area of the city. We could see several landmarks and were directed to several buildings which were used in some recent movies. We got on a bus and headed out to the imperial palace. Normally the tour would go into the north east gate and view the gardens, however, the gardens are closed on Fridays so we heard how beautiful they are but didn’t get to see them. It is interesting that the palace is surrounded by a moat which is about 5 feet deep to protect the emperor and his family. Back on the bus again we traveled to the Asakusa Sensoji, Buddhist Temple, and surrounding shrines. The Sensoji is one of Tokyo’s most colorful and popular temples. A shopping street about the length of two football fields, called Nakamise, leads from the main street and outer gate to the temple's second gate. Nakamise is lined with hundreds of little shops selling Japanese souvenirs, snacks, and, tradition clothing and apparel as well as modern shoes, purses, and fashion items. I didn’t find anything that I thought I absolutely needed, and if I did, I wouldn’t have been able to buy it anyway because I didn’t have any local currency on me and most did not accept cards. We then walked a couple blocks to the Sumida River and took a river cruise back close to our stating location. The cruise was relaxing, we went under at least 12 bridges, and each one was unique, built using different architecture from when they were constructed. The tour did not include a return trip to the hotel so it was up to us to find transportation back. I convinced Kristy that a train would be faster and cheaper than a cab. We obtained train cards which had 500 yen loaded on them and went into the station. We eventually found the platform which would take us to Shinagawa. As the train pulled up we could see that there was only standing room on it and looking around there were at least 25 people waiting with us to get into that same car. We all somehow crammed in and the doors closed. Have you ever seen the YouTube video where there are paid ‘pushers’ who help push people into crowded trains? It’s real! Luckily there wasn’t much pushing to get us all in. We ended our day at T.G.I Friday’s. So far we had been in Japan for nearly 30 hours and had not had any Japanese food! Sat April 16th: I was able to sleep until 3:30a this morning which is a slight improvement from yesterday! Once again I worked for a bit, answering email and catching up on some project changes. It started getting light at about 5a here which makes early mornings not seem so early. Things were pretty busy for Romy at home so I did not get a chance to talk to the family before heading out to breakfast. Kristy and I enjoyed Anna Miller so much for lunch we went back there for breakfast. Saturday mornings are not nearly as interesting as Friday mornings. The station was practically empty. There were only a handful of people coming and going. Missing home a bit I found a western style breakfast which I ordered, it consisted of pancakes, bacon, and fried eggs with toast. After breakfast we had a couple hours to kill and decided walk around and explore the area a bit. We ended up walking about 6 miles out to Tokyo bay and back! On our way back Romy and the kids video called and we chatted on a bridge, which stretched over the Sumida River, for a few minutes. Wee Keng, our recruiting/facility coordinator, flew in from Shanghai to make sure everything went well with the data collection. He husband, Kenneth, happened to be in Tokyo for work and she invited us to go out with them in the afternoon. Wee Keng asked if she could also invite a good friend of hers, Ritsuko, who lives in Tokyo, to join us. At noon the three of them came to the hotel to pick us up. Ritsuko brought her car and to our surprise offered to drive us out to Mt. Fuji (about a 2 hour drive one way). While very generous, we declined and asked if there were somewhere closer we could go. Just joking around, I suggested perhaps we could go to a sandy beach. Rutsuko discussed some locations with Wee Keng and then they decided to take us to Enoshima. Enoshima is a small island about 30 miles southwest of Tokyo. It is about 2 miles in diameter, and home to some of the closest sandy beaches to Tokyo. Enoshima is famous for its shrine (which is actually a collection of shrines), beaches, and view of Mt. Fuji (which we couldn’t really see due to hazy skies). Everyone was starving by the time we finally got to Enoshima Island around 2:30. Wee Keng suggested that we try some of the local seafood along the beach shops. We found a place which had some seats available and then went to pick our lunch from the fresh catch on display in front of the store. Several items were chosen, oysters, squid, and sazae (which I later found out is a turban shell snail). We also ordered some fried potato halves, grilled corn on the cob, potato anchovie cakes, and local bottled lemon soda. I have to admit the sazae wasn’t my favorite, and when I found out what is was it was hard to finish it, but I did. 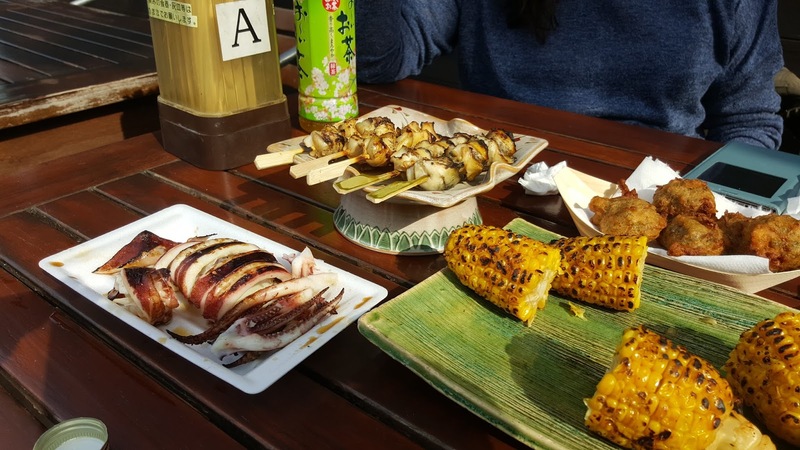 I tried some grilled squid, which I have had before, and it was just how I remembered it. The oysters were okay and the fried potato halves were like big french fries. The potato cake with small anchovies was actually really good! When we had finished most everything off a table near us had some shrimp tempura delivered. Kenneth thought that looked good and ordered some for the table along with one of the famous local dishes is called shirasu-don (translated: small raw fish on a bowl of rice). The shirasu-don came out first, it was a medium sized bowl of rice with three ‘meats’ on it. One third had a small pile of very small semi translucent fish (baby anchovies), another third had 3 pieces of some type of salmon colored raw fish. The last third had 2 pieces of white raw squid. Kenneth insisted that I try each. The anchovies were a little fishy and not as salty as I expected. I dipped the raw fish in a little too much wasabi, which masked the taste and cleared my sinuses, the texture of the fish was a bit odd but it tasted okay. I originally declined the squid but Kenneth insisted and recommended that I put some BBQ Soy Sauce on it. I did so and then ate it, it was a soft chewy gooey texture and never seemed to break up. I almost couldn’t finish it and came close to spitting it out. Luckily I had enough water in my glass and was able to wash it down. The Shrimp Tempura finally came out which was really good, especially when dipped in a bowl of a sweet soup. We hiked up to and around the Enoshima shrines and to a lighthouse/observatory on the top of the hill. The small street leading to the shrines was lined with shops selling candy, chocolates, treats, knick-knacks, and souvenirs. There are also some famous caves which were carved out by the ocean which we also went to see. Upon entering the cave we were given a candle on a stick to help light the path ahead. 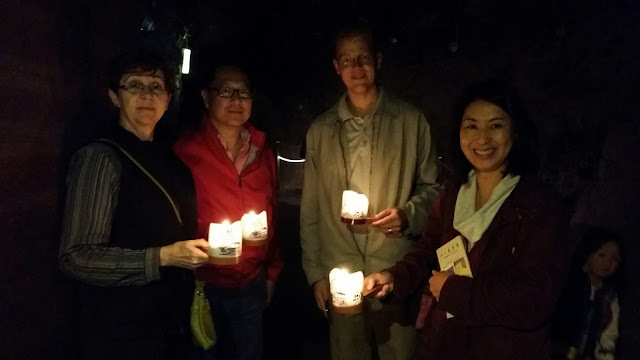 The cave was sufficiently lit so the candles weren’t needed for light, but it was fun to carry them around and explore the caves as if they were lanterns lighting the path ahead. Sunday April 17th: I ‘slept in’ until 4:30a this morning! I may be able to sleep past 7 by the time the trip is over! Kristy and I wanted to find a LDS ward and go to church. 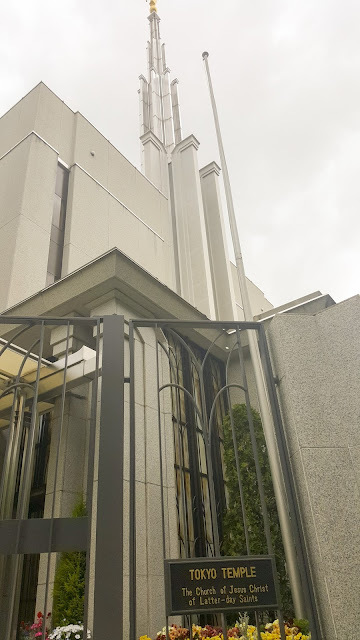 I got online and discovered that we were only about 3 miles from the Tokyo Temple and that there was an English ward which met in the building adjacent to the Temple at 10a. We took a cab to the temple which got us there about 20 minutes early. It was cloudy and raining a little so we didn’t walk around the temple ‘grounds’. The temple grounds extend about 5-8 ft. beyond the temple walls. It sits in the middle of a city block across the street from a highly vegetated walled park. We found out that the building we met in was the old Japan MTC which was closed in 2009 and became a general meeting place for church events/activities. After church we went to the data collection facility at noon. 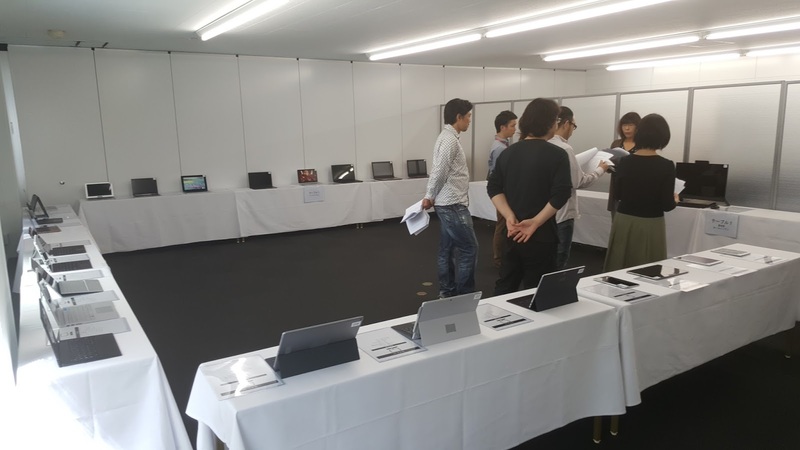 Kristy, Wee Keng, and I setup the showroom and I setup and configured the data collection equipment and server and then setup all the networking and tested it. We finished up around 7:30p. Kristy was tired and went back to the hotel. Wee Keng and I found a ramen shop by the Shinagawa station and enjoyed a traditional Japanese noodle soup dinner. We ordered two soups, a spicy and a non-spicy 'favorite'. We got some extra bowls and split the soups so we could each try some of each. I would recommend the spicy soup, it had a lot more flavor and was actually fairly mild in terms of spiciness. Monday April 18th: Up at 4:30a again today. I found a cinnamon roll and juice at a Starbucks in the Shinagawa Station. The Starbucks is located on the second floor overlooking the main thoroughfare of traffic. Thousands of dark suits and skirts marched below on their way to work. It’s interesting that even in large groups there is order where there could be chaos as paths crossed and crowds surged. The rest of the day was spent working. Training the local team started at 10a then the first round of data collection started at noon, we finished up around 9:15p. There was a slight drizzle as we walked back to the Hotel. Kristy and I stopped at a basement grocery store to buy some items for breakfast in the morning. I got a cinnamon roll, banana yogurt with cocoa cereal, and an orange juice. It came up to 780 yen ($7) which is a LOT cheaper than the buffet at the hotel which was 3,000 yen ($28). Tuesday April 19th: Up at 5a today! As with most mornings I got online and checked and answered email. 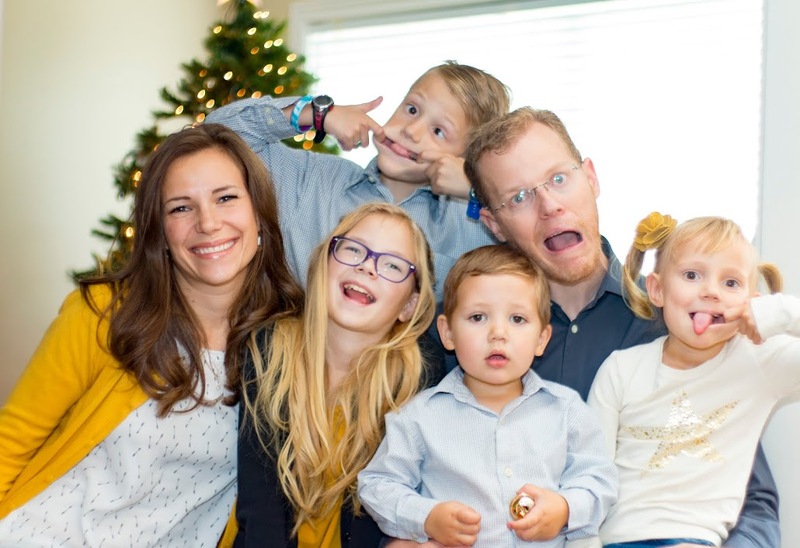 I called home around 8a to talk with Romy and the kids. They seemed pretty busy trying to get dinner and everything else done before heading out to FHE. Data collection started at 10a and ended just after 9:15p again. It was mostly uneventful. I tried to keep myself busy but didn’t end up doing much of note. Around 3p I went out with our client, John Nukunya , and Wee Keng for lunch. Wee Keng was going out with her friend Ritsuko later in the evening, however, Ritsuko had come early and we invited her to join us for lunch. Jon wanted to try some ramen soup and he wanted it spicy. From what I understand the Japanese don’t particularly care for spicy food (actually, now that I think about it have you ever tried wasabi… it’s HOT). After stopping at three different ramen shops we eventually found one which made spicy ramen, I believe the name of the restaurant translated to something like ‘The Devils Ramen’. I looked over the pictures and the one I thought looked good was rated a 6 out of 10 on the spice scale. Jon and I both got that one thinking a Japanese 6 is probably not as hot as it sounds. Wee Keng and Ritsuko got a dish rated at a 3. The first initial bites weren’t too bad. It was spicy but not ‘burn your mouth off spicy’. It didn’t take long and my sinuses started clearing out and I needed to blow my nose. Somehow some spices got up in my sinuses and boy was it hot! My eyes began to water and I kept wiping my eyes. Wee Keng was worried about me and kept asking if I was okay. I assured her I was fine, which I don’t think she believed, eventually she stopped asking at let me cry in peace! I was able to finish most the bowl after slowing down and taking small infrequent bites. Wednesday April 20th: Up at 4:30a this morning. I had a couple of meetings I needed to attend, one at 5a and the other at 5:30a. After the meetings I had some action items to take care of and then helped a coworker debug some code. At 8:15a I went down to the Hotel Concierge desk to schedule Romy’s Tokyo City day tour on Saturday. After scheduling the trip I ran into Kristy and she said I would most likely be able to duck out Friday after Romy arrived and may not need to come in on Saturday at all. With this new information I need to rethink my plans for Saturday, either meetup with Romy at some of the tours stops or buy another ticket and go on the tour with her. Data collection was uneventful. I worked on some code and watched some training videos. The facility brought in American Hamburgers from a place called HomeWork’s for lunch.